Despite helium being one of the most common elements on earth, there is a global shortage, forcing rations in the party store industry and threatening MRIs. The cost for helium is ballooning. Despite the gas being one of the most common elements in the universe, there is a global shortage. Businesses are feeling the pinch. Some party store owners in Windsor, Ont., say helium tank prices have risen 300 per cent recently. Gary St. Pierre, who owns Balloons by Us, said he usually has 10 tanks of helium on hand. Now, he has one. "We’re kind of between a rock and a hard place. We depend on helium and they’re telling us there’s a shortage," he said of his suppliers. "We’re told hospitals get it first, then manufacturing and we get what’s left." He raised his prices because "there's nothing we could do," he said. St. Pierre said this isn't the first shortage his industry has encountered. CBC News reported in 2007 that helium levels sunk to record lows in 2006 as refineries in the U.S., Algeria and Russia reported production problems. University of Windsor chemistry professor and researcher Rob Schurko is nervous about the idea of the planet's helium supply running out. "In terms of the University of Windsor, it influences our ability to do research here because these are very expensive and important research tools," he said. "Also, it influences the future viability of running MRIs, which is quite frightening." MRI machines are sometimes cooled with liquid helium. Windsor Regional Hospital's machine doesn't use it. Hôtel-Dieu Grace Hospital's MRI does. 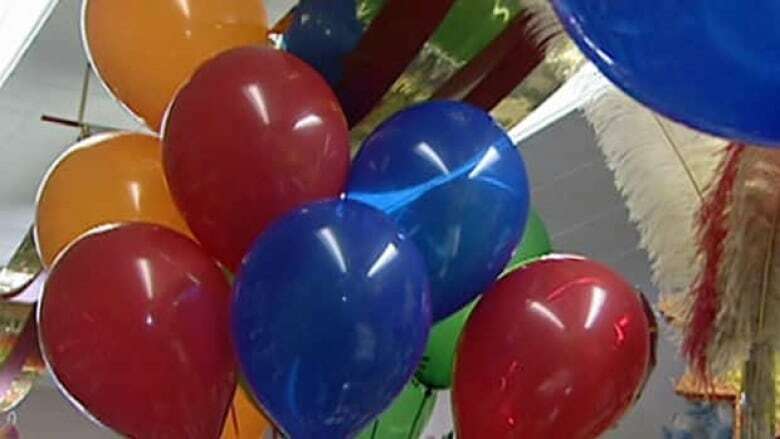 "At this point it has no effect, but certainly the MRI community is aware there is a helium shortage and potentially down the road ... there may be an issue for having an MRI performing properly if we can't get the helium," said Brigitte Ala, a diagnostic radiologist at Hôtel-Dieu Grace Hospital. Schurko says the shortage started when the U.S. sold its helium reserves for bargain basement prices in the 1990s. Since then, the world's largest helium supplier hasn't been able to keep up with the demand. The Associated Press reported earlier this year, that the helium shortage relates to the 1996 Helium Privatization Act that called on the U.S. government to sell off most of its helium reserves by 2015. Schurko said helium is found in natural gas deposits and has to be treated, purified and stored. The National Helium Reserve in Amarillo, Texas, is the world's only helium storage facility. "Helium is so light that it floats into space," Schurko said. "It's kind of ironic that it's a limited resource on Earth, because helium happens to be the most abundant element in the universe."